The Senate has referred the Landholders' Rights to Refuse (Gas and Coal) Bill 2015 for inquiry and report. This is a Private Members Bill which is currently before the Senate. Under the Bill, Australian landholders have the right to refuse the undertaking of gas and coal mining activities by corporations on their land without prior written authorisation. The Bill would also set out the requirements of a prior written authorisation, provide for relief which a court may grant a land owner when prior written authorisation is not provided, and prohibit hydraulic fracturing for coal seam gas, shale gas and tight gas by corporations. It would also provide for civil penalties. Submissions to the Inquiry are invited until Friday 29 May 2015.Read more and have your say. The latest offshore petroleum exploration areas have been released by the Minister for Industry and Science, The Hon Ian Macfarlane MP at the 2015 APPEA Conference in Melbourne. The Australian Government's annual release of offshore petroleum exploration acreage encourages investment and contributes to the responsible development of Australia's oil and gas resources. The newly released acreage covers a diverse range of geological settings. Limited data acquisition has taken place in some areas. 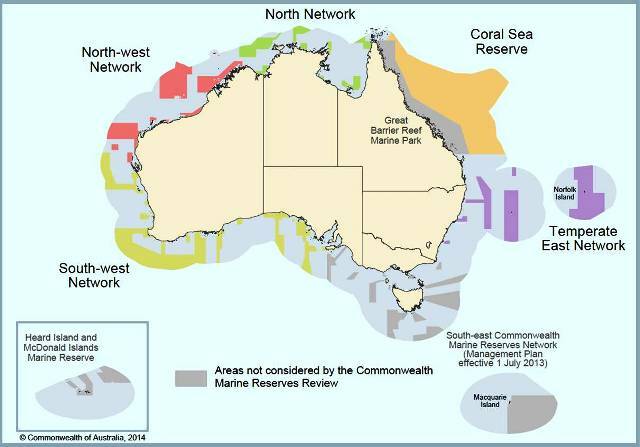 The 29 areas are located on the North West Shelf off Western Australia and the Northern Territory in the Bonaparte, Browse, Roebuck and Northern Carnarvon basins, and along Australia's southern margin in the Bight, Otway, Sorell and Gippsland basins (Figure 1). Competitive work-program bidding for exploration permits will apply, except for six selected areas that are released under the cash-bidding scheme. These are located close to existing hydrocarbon discoveries that are currently in production, where complete coverage of 3D-seismic data exists or in which proven, but to-date undeveloped, oil and gas accumulations exist. The new acreage areas vary in water depth from very shallow (<20 metres) in the Petrel Sub-basin, offshore Northern Territory and Western Australia, through to very deep (>3 000 metres) as represented by the Bass Canyon in the eastern Gippsland Basin. The costs for drilling deep-water exploration wells has significantly increased in recent years, with shallow water areas near existing oil and gas accumulations usually attracting a higher number of bids. The current offshore exploration focus in Australia is firmly on the Westralian Superbasin which includes the Bonaparte, Browse, Roebuck and Northern Carnarvon basins on the North West Shelf. The Bonaparte Basin produces natural gas from the Bayu/Undan field in the Joint Petroleum Development Area (JPDA) and from the Blacktip field in the Petrel Sub -basin. Both deliver gas via pipelines to onshore processing plants; one in Darwin and one in Wadeye. The 2015 acreage release in the Bonaparte Basin (Petrel Sub-basin) includes two cash-bid areas over the Turtle/Barnett oil and gas accumulations. These fields have been deemed sub-commercial in the past, mainly because they are hosted in reservoirs with low permeability. The Browse Basin offers four areas this year, three of which are located in the vicinity of existing gas fields and one in the inboard area adjacent to the Cornea oil discovery. 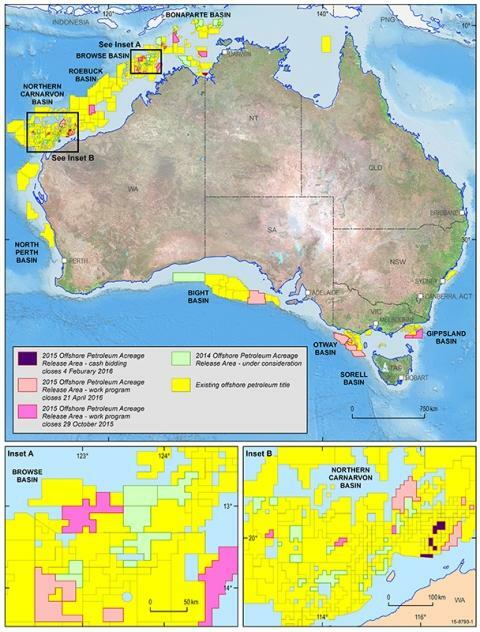 The Browse Basin is one of Australia's richest hydrocarbon provinces with an estimated 32trillion cubic feet (Tcf) of natural gas and over 350 million barrels of condensate (MMbbl) recoverable (for comparison, the total gas consumption of Australia, industrial and domestic, is around 1.2Tcf per year). Production has not yet commenced, but two large projects, the Ichthys gas development, managed by INPEX, and the floating LNG Prelude gas development, managed by Shell, are scheduled to deliver first gas in 2016. The Roebuck Basin is a lesser-known offshore province southwest of the Browse Basin. It recently made news when the exploration well Phoenix South 1, which was intended to find additional gas in support of possible development of the original gas accumulation at Phoenix 1, unexpectedly discovered oil in September 2014 (Figure 2). Since this discovery, the Roebuck Basin has been the subject of strong interest from explorers and data acquisition companies who are keen to further assess the untapped potential of this basin. A new exploration opportunity is provided by the 2015 Acreage Release with a large block now available for work-program bidding to the north of the Phoenix wells. The Northern Carnarvon Basin is now established as Australia's premier oil and gas province, producing 1.0-1.3Tcf of natural gas each year. The basin is well known for its vast gas resources which are converted to liquid natural gas (LNG) and exported to the Asian energy market. The basin also holds commercial volumes of oil and condensate and is therefore an attractive destination for domestic and international explorers, producers and service providers. This hydrocarbon province always offers the largest number of new acreage blocks which this year includes seven areas for work-program bidding across the Exmouth Plateau, Rankin Platform, Dampier Sub-basin and Beagle Sub-basin. Additionally, four areas are available for cash-bidding, on trend with the inboard oil and gas accumulations of the Dampier Sub-basin, with two areas over the Chamois oil and Elk gas accumulations. The overall dominance of release areas on the North West Shelf is this year counterbalanced with eight areas along the southern margin. The Bight Basin is currently undergoing a major resurgence in exploration activity and data acquisition having attracted five new players to the Ceduna-Sub-basin, which hosts the largest underexplored deltaic system in the world. According to an extensive study by Geoscience Australia in 2007, the Cretaceous sediments have the potential to generate, expel and accumulate oil which, if proven, could turn this frontier region into Australia's newest oil province. This year, a large acreage block has been added to the Ceduna Sub-basin bridging the gap to the adjacent Duntroon Sub-basin in which new data has been acquired during the last three years. In the Otway Basin further east, a gas discovery was made at Speculant 1 in late 2014 confirming the prospectivity of the inboard parts of the basin. The 2015 release of four large blocks in the eastern Otway and northern Sorell basins offers the opportunity to investigate one of the many remaining offshore frontiers. Last, but not least, two areas have been released in the Gippsland Basin. This year marks the 50th anniversary of the discovery of the giant Barracouta gas field, drilled by the then Esso Australia as Gippsland Shelf 1. The discovery, drilled on an easily identified structure (Figure 3), was the first of many more to come and by the early 1970s, the Gippsland Basin had emerged as a world class hydrocarbon province that, after 50 years, is still producing commercial volumes of oil and natural gas. The 2015 acreage release includes two blocks in the southeastern part of the basin where the deeper, older stratigraphic section offers new exploration targets. So many flowers from one small suburban garden near Sydney NSW. We have now completed our schedule of regional consultations with individuals and groups of interested stakeholders as well as organisations. This included over 170 meetings, mostly face-to-face, but also several teleconferences (some via sat phone to fishers on the water). We’ve held eight multi-sector forums and two meetings with the national stakeholder group. The Review received over 13100 written submissions and 1859 responses to the online survey. We hope to make the submissions available soon on the Review website, along with an analysis and report of the online survey results. We have referred a number of the issues that have been raised with us to the Expert Scientific Panel for assessment and feedback. Some of these are national in scope but several relate to specific issues surrounding individual areas or regions. We have also now completed review meetings with each of the five Bioregional Advisory Panels to consider all the input we have received from written submissions, face-to- face meetings and teleconferences, online survey results, and, where relevant to our terms of reference, past submissions from the initial establishment of the reserves and the development of the set-aside management plans. These Bioregional Advisory Panel review meetings gave us the opportunity to consolidate all of the issues relating to the network and we were able to develop a range of possible options for zones and zoning boundaries in a number of the reserves. These options will now be evaluated for the extent to which they improve conservation and/or socio-economic outcomes, and for practicality. Some will be dependent on feedback from the Expert Scientific Panel before we can consider them further as workable solutions to the issues that have been raised with us. When we have received this feedback and finished our initial evaluation we will take the options that we consider warrant further consideration to affected stakeholders in each region for testing. We expect this process to extend over the next 4-6 weeks, during which time we may further refine the options in the light of this additional feedback. After our options have been finalised we will be drafting our report to the Government. options for zoning, and zoning boundaries, and allowed uses consistent with the Goals and Principles for the Establishment of the National Representative System of Marine Protected Areas in Commonwealth Waters. future priorities for scientific research and monitoring relating to marine biodiversity within the marine reserves, especially any relating to the understanding of threats to marine biodiversity within the marine reserves. options for addressing the most significant information gaps hindering robust, evidence-based decision-making for the management of the marine reserves. For more information, see the terms of reference for the review. The Goals and Principles seek to draw on available science while recognising from the outset that our knowledge of the biodiversity in some areas is not well developed. A significant proportion of each marine region is far offshore, very deep, and has not been the subject of detailed study or data gathering. In these circumstances, existing detailed and peer-reviewed data will be supplemented with information drawn from known linkages between biodiversity and the physical environment - that is, where detailed species and habitat data is lacking, surrogates for diversity (such as water depth, substrate and geomorphology) will be used. consideration of potential management effectiveness (e.g. feasibility of compliance). The Goals and Principles provide guidance in considering potential impacts on people when the location of new Commonwealth marine reserves is being identified. In particular, the Principles require that the selection and design of marine reserve networks is done in a way that minimises potential socio economic impacts on marine users and coastal communities. 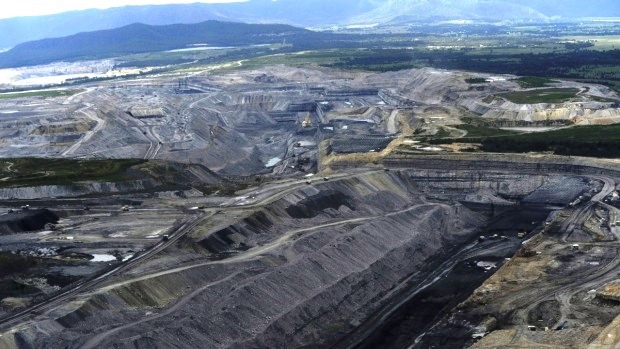 Proposals to expand Warkworth mine and continue mining at Mt Thorley have been referred to the independent Planning Assessment Commission for a final decision. “The applications have been put under the microscope through multiple, extensive reviews involving analysis by independent experts and community consultation,” a Department spokesperson said. >reduce the size of the final void left by mining and progressively rehabilitate the site to native woodland. “We are satisfied that by strictly applying the Department’s recommended conditions, the proposals’ impacts can be managed,” the spokesperson said. “Approving the proposals would mean ongoing employment for the mine’s 1,300 workers, as well as around $ 617 million in royalties for NSW, which would be spent on services such as hospitals, school and roads. “Independent analysis has found that the projects would be worth $1.5 billion to NSW. The spokesperson said impacts to the nearby village of Bulga have been closely examined and the Department does not support the PAC’s initial review recommendation to relocate the village. “Our assessment found dust and noise impacts on the village would not be significantly greater than what Bulga is already experiencing,” the spokesperson said. The proposals being considered differ from the earlier proposal that was refused by the Land and Environment Court in 2013 in terms of biodiversity offsets, as well as having revised noise, social and economic impact assessments. The Department has recently doubled the size of its monitoring and compliance enforcement teams. “The Department takes its compliance role seriously and understands the community’s concerns about operators exceeding their conditions of approval,” the spokesperson said. “That’s why we’ve recently hired more compliance officers to work out of our Singleton office. “Their job is to closely monitor Hunter Valley mines to ensure they are sticking to their approval conditions. The Warkworth proposal involves a westward expansion, increasing the amount of coal that can be mined and allowing it to operate for an additional 21 years. The Mount Thorley proposal involves extending its operating life for 21 years so the already approved amount of coal can be mined and it can be used to support operations at Warkworth. “The PAC will now make the final determination on the projects, taking into account the Department’s assessment and community feedback,” the spokesperson said. For more information about the proposal and to view the Department’s assessment of the projects, visitwww.majorprojects.planning.nsw.gov.au. The Land and Environment Court overturned the state government's approval of this extension of the Warkworth mine in 2013 and ruled against Rio Tinto in an appeal in 2014. See sole objector listed on Planning NSW Website public consultation for an accurate overview of - all other 'public submissions' state a seemingly prescribed one paragraph response of approval - many are 'name withheld'. The current recommendation for approval - for a revised mine plan - was made after changes to NSW planning laws in 2013 that require a mine's economic benefit to be the principal consideration. As a result of these new laws, the Bulga community no longer have the right to a court appeal on the merits of the decision. We, the undersigned, make this promise: we will not allow the Warkworth mine to destroy Saddle Ridge. 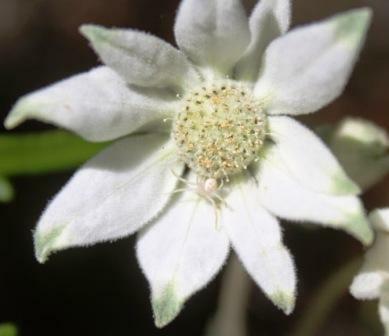 Saddle Ridge harbours woodlands and wildlife that are vanishing from the Hunter Valley due to open cut coal mining. It is an ancient pathway and place of harmony, protection, and direction for Wonnarua people. It shields the village of Bulga from noise and dust rising from the super pits of Rio Tinto’s Mount Thorley-Warkworth mine. For the Wonnarua, the people of Bulga, and the wildlife, Saddle Ridge is home. It protects and guides them. Such things cannot be compensated for. They cannot be sold, or replaced. The NSW government may have signed the death warrant for Saddle Ridge and the village of Bulga, but the people have not. The government and Rio Tinto are colluding against us, but we are united and we will not be subdued. The highest courts in New South Wales have rejected the Warkworth mine expansion for the same reasons we reject it. By siding with Rio Tinto to subvert the people’s victory in court, the government has crossed a line. Now we are the ones that will uphold fairness, protect the ridge and restore faith in organised community. We stand with the village of Bulga and the Wonnarua Traditional Custodians. We pledge to them that we will use all peaceful means to help them protect community and culture from the Warkworth coal mine. Kevin Taggart, Wonnarua traditional custodian. Wollongong Coal is starting work today on its risky new longwall coal mine under Sydney's drinking water catchment ('Longwall 6'), according to an update to shareholders, despite concerns about its impact on Cataract Creek, and is pressing ahead with broader expansion plans that have the potential to do significant further damage to the catchment. The company last week released an Environmental Impact Statement (EIS) for Federal Government approval of its larger Russell Vale expansion project for eight new longwall mining panels under the catchment, despite the NSW Planning Assessment Commission sending the proposal back to the drawing board in March. Furthermore, the EIS to the Federal Government seeks approval for an extra 35m of mining for Longwall 6 which was rejected by the Environment Minister Greg Hunt in December due to the risks it posed to Cataract Creek and the upland wetlands that filter and release water in the catchment. Lock the Gate Alliance NSW Coordinator, Georgina Woods said, “Wollongong Coal start work today on a dangerous longwall mine under Sydney's drinking water catchment despite evidence that mining in the catchment puts at risk the quality and quantity of water coming into the dams. “They are pushing to get Federal approval for their plans for eight new longwalls, despite a review by the NSW Planning Assessment Commission that made it very clear that their assessment was inadequate and more work was required before a decision could be made. "Most shockingly, Wollongong Coal seems to have ignored advice from the Independent Expert Scientific Committee that their proposed Russell Vale expansion puts Cataract Reservoir at risk - a dam that is the water supply for large parts of Sydney. "The company is even trying to sneak through approval to mine an extra 35m of Longwall 6, which was excluded from an approval by the Federal Government following advice from the Independent Expert Scientific Committee. "Wollongong Coal are recklessly putting the future of Sydney's drinking water at risk. "We're calling on Minister Hunt to reject the proposed Russell Vale expansion due to the irreversible damage it could do to the drinking water catchment of Australia’s largest city," she said. Wollongong Coal Limited (WCL) proposes to continue operations at Russell Vale Colliery by undertaking mining of eight longwall panels (the Underground Expansion Project).Russell Vale Colliery is located approximately 8 km north of Wollongong in the Southern Coalfield of NSW.  Listed threatened species and communities (section 18 and 18A). The Underground Expansion Project is being assessed by Environmental Impact Statement. In accordance with section 103 of the EPBC Act, WCL invites you to comment on the draftEnvironmental Impact Statement. The draft Environmental Impact Statement can also be viewed electronically on the WCL website: www.wollongongcoal.com.au. Persons who require services for special needs or an interpreter may contact Mr David Clarkson at WCL for assistance in accessing the material. Written comments can be provided to Mr David Clarkson via email (dclarkson@wcl.net.au) or via post (7 Princes Highway, cnr Bellambi Lane, Corrimal NSW 2518). Telephone enquiries should be directed to Mr David Clarkson on 1300 109 384. Submissions on the proposal will close at 5 pm on 26 May 2015. Wollongong Coal has recommenced longwall operations at its Russel Vale Colliery in longwall 6, and marks the commencement of the 72nd longwall panel for the operation. Wollongong Coal Chief Operating Officer Dave Stone said that is was an important milestone in demonstrating the longterm sustainability of an operation that has operated for 127 years successfully and responsibly within our community. “Wollongong Coal is confident that when presented the revised UEP project the Planning and Assessment Commission (PAC) will recognise the merits of the Project and agree that with the strict proposed operating conditions we can unlock the economic and social benefits of the project for the region, while ensuring the ongoing protection of the local environment.” Stone said. For further information on the UEP Project please visit the Wollongong Coal website via www.wollongongcoal.com.au for contact information and detailed facts sheets. The Coalition has delivered and exceeded its election commitment to roll out 250 Green Army projects around Australia in the first year of the programme. To date, around 2,500 people have worked on a huge variety of projects around the country - and the Green Army continues to grow. Building the Green Army to 250 projects is just the beginning - it will continue to grow to 1500 projects by 2018-19. The Green Army is a genuine environmental success story that is having positive impacts on the community, the environment and on the lives of participants. Every day we're hearing positive stories that young people are going on to find employment in environmental fields; community organisations are applying for more projects after the success of their first projects; locals are impressed by the enhanced environments in their communities; and team leaders are proud to be providing a positive mentoring role to young people. I have also heard first hand from participants how much they enjoy the activities they do and working with their team, that they are learning new skills, gaining valuable training and creating a pathway for themselves, all while improving the environment. The 2015 Budget handed down earlier this month provides more than $700 million in funding over four years for the Green Army - that's an increase of $179 million (compared to last year's Budget). The Green Army is a hands-on, practical environmental action programme that supports local environment and heritage conservation projects across Australia. Further information on the Green Army is available online at: www.environment.gov.au/green-army. A new vehicle access permit system for commercial fishers to access NSW National Parks. To improve management and provide certainty for industry, National Parks and Wildlife Service (NPWS) is developing a new vehicle access permit system. The system is to enable commercial fishers to access areas in national parks that may be closed to the public. The proposal is open to public comment, with the new system to start on 1st July 2015. There will be a standardised, state-wide application process that applies in all parks across the state. It will also help the NPWS fulfil its responsibilities to manage parks for all people of NSW. How do I find out more about the proposal? The new Draft Commercial Fishing Access Policy (PDF 845KB) is now available. How do I comment on the proposal? The proposal is open for public comment until May 29 2015. The exhibition of the draft plan provides an important opportunity for the community to have a say on future management directions for Berowra Valley National Park and Berowra Valley Regional Park. Why is a plan being prepared now? A new plan of management is being prepared, following the reclassification of most of Berowra Valley Regional Park to Berowra Valley National Park, in recognition of the park’s high conservation value. Under national park status, conservation measures are a strong point of focus. National park status also allows for sustainable visitor use, subject to strict controls. Nine hectares of the original Berowra Valley Regional Park have been retained in order to accommodate local dog walkers on existing management trails. What opportunities will the community have to comment? The draft plan of management is on public exhibition until 6th July 2015 and anyone can make a comment. The Environment Protection Authority (EPA) has released a draft second edition of the Environmental Guidelines: Solid Waste Landfills. The previous edition was released in 1996. It has several limitations associated with its age, including out-of-date legislation and policy, as well as not providing detailed treatment of a number of technical issues. This draft second edition aims to address these limitations and to provide an updated set of minimum standards for design, construction and operation of a modern landfill facility. Further details about the main changes are outlined in the Questions and Answers below. Download the Draft Environmental Guidelines: Solid waste landfills (Second edition, 2015) (PDF 1MB). The EPA is seeking comments from industry, government agencies and the community on the draft guidelines and welcomes any comments by 30 June 2015. The grounding of a giant iceberg in Antarctica has provided a unique real-life experiment that has revealed the vulnerability of marine ecosystems to sudden changes in sea-ice cover. UNSW scientists travel out onto the sea-ice covering Commonwealth Bay in East Antarctica. UNSW scientists have found that within just three years of the iceberg becoming stuck in Commonwealth Bay – an event which dramatically increased sea-ice cover in the bay – almost all of the seaweed on the sea floor had decomposed, or become discoloured or bleached due to lack of light. “Understanding the ecological effect of changes in sea-ice is vital for understanding the future impacts of climate change, but it is impossible to manipulate sea-ice at the scale we need to conduct experiments,” says the study’s lead author, UNSW’s Dr Graeme Clark. “Luckily, the grounding of an iceberg in Commonwealth Bay in 2010 provided us with a perfect natural experiment to carry out research on this important issue. “Historically, the winds coming down from the Antarctic ice cap have kept the bay free of sea-ice for most of the year. But since the massive iceberg got stuck, the bay has been covered in sea-ice several metres thick, all year round,” he says. The study is published in the journal Polar Biology. The scientists travelled to Commonwealth Bay in the east of the continent in December 2013, as part of the UNSW-led Australasian Antarctic Expedition 2013-2014, which retraced the route of Sir Douglas Mawson’s scientific expedition a century before. Dr Clark and team member, Dr Ezequiel Marzinelli, drilled through the sea ice in the bay and used underwater cameras to survey the seabed. The UNSW team, led by Professor Emma Johnston, also examined the historical records made by Sir Douglas Mawson, who established his research station in Commonwealth Bay. Mawson’s expedition used dredge hauls to survey the bay, which was then rarely covered in ice, in five locations during a two-year period from 1912 to 1913. The UNSW researchers also compared their survey results with footage taken in the area in 2008 by underwater photographer Erwan Amice. “After three years of sea-ice cover, the forests of healthy seaweeds that previously dominated the seabed were in a severe state of decline,” says Professor Johnston, of the UNSW School of Biological, Earth and Environmental Sciences. Sea-ice not only affects how much light reaches the animals and plants living on the seabed, it regulates the amount of disturbance from drifting icebergs that scour the bottom, and determines the amount of detritus and vegetation that settles there. UNSW’s Dr Ezequiel Marzinelli and Dr Graeme Clark drill a hole in the sea-ice in Commonwealth Bay in East Antarctica. An underwater camera is lowered through a hole in the sea ice to the sea floor in Commonwealth Bay in East Antarctica by UNSW scientists. The images reveal disintegrating seaweed and bleached pink coralline algae, plus some small sea stars and brittle stars. Regulations to implement the Coalition's historic ban on the disposal of capital dredge material in the Great Barrier Reef Marine Park have been signed off by the Government. I have formally approved an amendment to the Great Barrier Reef Marine Park Regulations to put an end to this century-old practice once and for all. This is another major milestone in strengthening our management of one of the world's most priceless natural assets through greater legal protection. In finalising the new regulations, the Government has taken into account more than 7000 submissions received as part of a thorough consultation process. The ban applies to all past and present permits and future applications for capital dredge disposal. This will help to reduce cumulative pressures on this vast and spectacular ecosystem and aid in improving its health and resilience. There will be zero capital dredge disposal in the entire 344,400 square kilometre Marine Park - this covers 100 per cent of the area under Commonwealth legislative control and 99 per cent of the World Heritage Area. This will be complemented by the Queensland Government's commitment to also ban the practice in the remaining 3000 square kilometre area that includes port areas, and falls outside of the Marine Park under Commonwealth control. Together, this means no capital dredge disposal can occur in any part of the World Heritage Area. We inherited five major proposals from Labor to dispose of dredge spoil in the Marine Park. Since coming into Government, we have reduced this to zero. Protecting the Reef's immense biological, cultural and heritage values is a top priority for the Coalition Government and we continue to build on our suite of protective measures. The ban on capital dredge disposal in the Marine Park follows the release of the Reef 2050 Long-Term Sustainability Plan, which will help to directly address threats to the Great Barrier Reef. The Reef 2050 Plan charts the way forward for investment in Reef protection, which will amount to more than $2 billion over the coming decade by the Australian and Queensland governments. The Great Barrier Reef still retains the outstanding universal value for which it was listed as a world heritage property in 1981, and we are demonstrating our determination to ensure this remains the case for future generations. To deliver Australian businesses the access to the competitive, reliable coastal shipping services they need, the Australian Government is moving ahead with coastal shipping reforms. Deputy Prime Minister and Minister for Infrastructure and Regional Development Warren Truss, at a Shipping Australia luncheon today in Sydney, said Labor's meddling with coastal shipping has been a disaster for the industry. “The problems are clear, they are many and they must be fixed,” Mr Truss said today. “The fleet of major Australian registered ships, ( over 2,000 dead weight tonnes) with coastal licences is in sharp decline, plummeting from 30 vessels in 2006–07 to just 15 in 2013–14. “Between 2000 and 2012, shipping's share of Australian freight fell from 27% to just under 17%, while the volume of freight across Australia actually grew by 57%. And, between 2010 and 2030, Australia's overall freight task is expected to grow by 80%, but coastal shipping will only increase by 15%. “Labor's Coastal Trading (Revitalising Australian Shipping) Act 2012 (Coastal Trading Act) has not revitalised Australian shipping—in fact, it has torpedoed the industry. Over the first two years of the Coastal Trading Act there was a 63% decline in the carrying capacity of the major Australian coastal trading fleet. “Unless we act now to correct these failings, businesses relying on coastal shipping will be sunk. “Without changes to our economic and regulatory settings, shipping will not be able to deliver the competitive, efficient services that Australian businesses need. “The new legislation I unveiled today will have built-in protections for Australian workers and also for wages and conditions for all seafarers on foreign ships operating primarily in the Australian coasting trade. Mr Truss said the Government will ensure that Australia's rigorous maritime safety and environmental laws will continue to apply to all ships operating in Australian waters. “Simplifying rules for moving cargo will show Australian waters are once again open for business,” he said. “We will deliver cheaper freight costs for businesses and greater choice between shipping companies, which will lead to better services being provided to Australian industry. “Domestic freight is growing exponentially and shipping must carry a much larger share of the load. “Industries relying on shipping say the Coastal Trading Act is a barrier to competition and market entry by foreign ships. “Evidence, supplied by shippers, shows that Labor's Act has increased the price of coastal shipping services, hitting Australian businesses hard and adding uncertainty and regulatory burdens without improving the viability of Australian shipping or the quality of shipping services. “Bell Bay Aluminium reports a 63% increase in shipping freight rates from Tasmania to Queensland in just the first year of the Labor's regime—from $18.20 a tonne in 2011 to $29.70 a tonne in 2012. “We know that the cost of shipping dry food powder from Melbourne to Brisbane is the same as shipping the same product from Melbourne to Singapore. 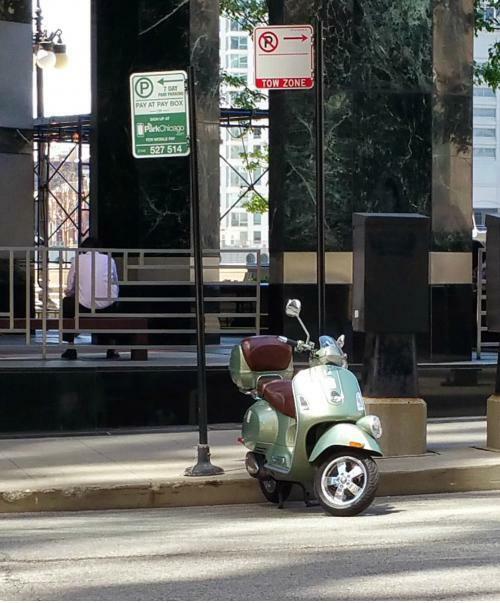 Clearly, that's ridiculous. “And it is cheaper to ship sugar from Thailand to Australia than it is to ship Australian sugar around our own coastline. Again, that's crazy and self-defeating for the shipping industry, let alone our sugar industry and local manufacturers. “The extra cost for Australian businesses using an Australian vessel is outlandish and unsustainable at some $5 million a year more than using a foreign vessel. “It will also lead to less congestion on our roads—moving cargo from road to the sea will free up our road infrastructure for the transport of more valuable or time-critical cargo. The NSW Environment Protection Authority (EPA) has not found any evidence of harm to the environment or pollution of waters from its investigations after BTEX was detected in flowback water at AGL’s coal seam gas operations near Gloucester in January. EPA Chief Environmental Regulator Mark Gifford said AGL’s operations were suspended on 27 January 2015 and the EPA conducted a thorough investigation that involved a team approach, with hydrogeological, water quality and analytical chemistry experts. “The EPA’s investigation into the detection of BTEX in flowback water examined if AGL breached its environment protection licence conditions or the Protection of the Environment Operations Act. The EPA has determined that no breaches occurred. “The EPA has found no evidence that AGL added BTEX to fracture stimulation fluids and found that the BTEX detected was likely to be naturally occurring,” Mr Gifford said. “The EPA’s investigation also considered if pollution of waters did or was likely to occur. “Flowback water extracted after hydraulic fracturing was taken to a licensed treatment facility for treatment and disposal. We found no extracted flowback water had entered the environment at Gloucester. Mr Gifford said the EPA reflects on all of its investigatory outcomes and looks for opportunities to improve how we regulate. “From this investigation the EPA has determined there is room to strengthen AGL’s environment protection licence conditions and new conditions regarding the monitoring and reporting of BTEX chemicals are being added as a result. In addition to the BTEX investigation the EPA has also completed investigations into the detection of the hydraulic fracturing additives monoethanolamine borate (MEB – a thickening agent) and Tetrakis hydroxymethyl phosphonium sulphate (Tolcide – an algaecide) in ground and surface water monitoring results undertaken in 2014. “While the levels of both Tolcide and MEB were extremely low and unlikely to pose any risk to human health or the environment, it was important that the detections were investigated by the EPA to verify the accuracy of AGL’s monitoring and reporting. “In relation to this investigation the EPA found a technical breach of the environment protection licence condition L3.4. This condition requires that there be no detection of MEB and Tolcide in groundwater samples. “This investigation demonstrated that MEB and Tolcide (or their breakdown products, which are what is monitored in the case of Tolcide) can occur naturally and it is unlikely that the detections were a result of hydraulic fracturing activities. While the EPA acknowledges that it has taken some time to complete these investigations, it was important that the matters were thoroughly investigated. The EPA will be meeting with the community to discuss the results of the investigation. AGL also requires approval from the Division of Resources and Energy before recommencing operations. The EPA will review the results of the DRE investigation to determine whether any further changes to AGL’s licence conditions are required. Yesterday both the Division of Resources and Energy (DRE) and the Environment Protection Authority (EPA) released separate reports into the findings of toxic BTEX chemicals found in water at AGL’s Waukivory fracking site. The use of BTEX has been banned in NSW because of its dangers and the fact that it is found naturally makes it no less dangerous. Also at the present time AGL has no arrangement in place with any licenced facility capable of dealing with this dangerous material. All AGL can offer is that the toxic waste should be dumped in an open dam in the middle of a Gloucester cow paddock. A proposal that has outraged the community. Neither report sets out how the BTEX issue should be handled by AGL. Despite the lack of any solution to deal with BTEX and despite AGL having no one to take and treat its toxic water the DRE under Minister Roberts has told AGL that they can resume operations. This also is an outrage and the community is rightly upset. The Minister and his Department have some tough questions to answer about how this has happened. WHAT DOES IT TAKE FOR MINISTER ROBERTS TO ACT? The community of Gloucester is asking Minister Roberts to urgently take immediate action on continuing breaches by AGL Energy at its ill-fated coal seam gas (CSG) pilot project in Gloucester. The Office of Coal Seam Gas, which is part of Minister Robert’s department, has in its possession significant new documentation of current and continuing breaches by AGL in relation to the storage of its toxic waste. AGL had permission to store produced water (toxic coal seam water) as part of its failed Tiedman’s irrigation program but this permission expired on 30 April 2015. No new application or plan for dealing with this liquid waste has been announced. Failure to have written approval for storing produced water and failure to have a valid mechanism for disposing of the produced water are clear breaches of AGL’s exploration licence. But Minister Roberts has done nothing. The second contaminated liquid waste which AGL has created is flowback fluid: a mixture of fracking chemicals and toxic coal seam water. AGL has been unable tofind any company willing to take this toxic flowback fluid and has still failed to provide any plan for its disposal. This is a further clear breach of its exploration licence and yet Minister Roberts has done nothing. Meanwhile, AGL is trying to get around its planning incompetence by simply dumping all the toxic fluid in an open dam in a Gloucester cow paddock. “It seems like every week we are uncovering new breaches by AGL and it’s time for Minister Roberts to act. The longer he allows AGL to stumble on, without even a plan in place for dealing with its waste, the worse it looks for the government, for AGL and for the CSG industry. Meanwhile the risks for the Gloucester community and our agricultural industry just get bigger” said Ms Julie Lyford, the Chair of Groundswell Gloucester. 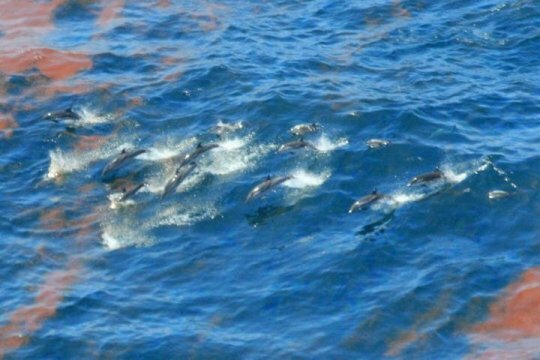 May 20, 2015 – As part of an unusual mortality event investigation, a team of scientists has discovered that dead bottlenose dolphins stranded in the northern Gulf of Mexico since the start of the Deepwater Horizon oil spill have lung and adrenal lesions consistent with petroleum product exposure according to a paper published today in the peer-reviewed online journalPLOS ONE. These findings support those of a 2011 health assessment of live dolphins in Barataria Bay, Louisiana, a heavily oiled area during the spill which showed those resident dolphins had poor health, adrenal disease, and lung disease. The timing, location, and nature of the detected lesions support that contaminants from the Deepwater Horizon oil spill caused these lesions and contributed to the high numbers of dolphin deaths within this oil spill's footprint. Increased dolphin deaths following the oil spill are part of the northern Gulf of Mexico unusual mortality event investigation. "This is the latest in a series of peer-reviewed scientific studies, conducted over the five years since the spill, looking at possible reasons for the historically high number of dolphin deaths that have occurred within the footprint of the Deepwater Horizon spill," said Dr. Teri Rowles, veterinarian and one of 22 contributing authors on the paper, and head of NOAA's Marine Mammal Health and Stranding Response Program, which is charged with determining the causes of unusual mortality events, also known as UMEs. "These studies have increasingly pointed to the presence of petroleum hydrocarbons as being the most significant cause of the illnesses and deaths plaguing the Gulf's dolphin population. This study carries those findings significantly forward." •	Increased susceptibility to primary bacterial pneumonia, possibly due to lung injury, or alterations in immune function. Animals with untreated adrenal insufficiency are at risk of life-threatening adrenal crises. The adrenal gland produces hormones -- such as cortisol and aldosterone -- that regulate metabolism, blood pressure and other bodily functions. "Animals with adrenal insufficiency are less able to cope with additional stressors in their everyday lives," said Dr. Stephanie Venn-Watson, the study's lead author and veterinary epidemiologist at the National Marine Mammal Foundation, "and when those stressors occur, they are more likely to die." Since early 2010, there has been an ongoing cetacean unusual mortality event involving primarily bottlenose dolphins in the northern Gulf of Mexico. Three out of four groupings of elevated dolphin strandings identified within this event followed the Deepwater Horizon oil spill. This ongoing die-off, with the highest number of dead bottlenose dolphin strandings on record in the northern Gulf of Mexico, coincided with the largest marine-based oil spill in the United States. Barataria Bay, Louisiana, was one of the most heavily oiled coastal areas from the Deepwater Horizon oil spill, and the new study shows that half of the dead dolphins examined from Barataria Bay that stranded between June 2010 and November 2012 had a thin adrenal gland cortex, indicative of adrenal insufficiency. One in every three dolphins examined across Louisiana, Mississippi and Alabama had this lesion. In comparison, only 7 percent of the dead stranded reference dolphins, collected from other coastal regions outside the Deepwater Horizon oil spill area and time frame, had a thin adrenal cortex. In fact, almost half of the dolphins with this otherwise rare adrenal lesion appeared to have died without another clear explanation for their death. In addition to the adrenal lesions, the scientific team discovered that more than one in five dolphins that died within the Deepwater Horizon oil spill footprint had a primary bacterial pneumonia. Many of these cases were unusual in severity, and caused or contributed to death. "These dolphins had some of the most severe lung lesions I have seen in the over 13 years that I have been examining dead dolphin tissues from throughout the United States," said Dr. Kathleen Colegrove, the study's lead veterinary pathologist based at the University of Illinois. In comparison, only 2 percent of reference dolphins had these lesions. In other mammals, exposure to petroleum-based polycyclic aromatic hydrocarbons, known as PAHs, through inhalation or aspiration of oil products can lead to injured lungs and altered immune function, both of which can increase an animal's susceptibility to primary bacterial pneumonia. Dolphins are particularly susceptible to inhalation effects due to their large lungs, deep breaths and extended breath hold times. The prevalence of Brucella and morbillivirus infections, which were investigated as potential alternative causes for increased dolphin deaths, was low in UME dolphins after the oil spill and was no different compared to the reference dolphins. Additionally, biotoxin levels were either low or below the detection limit in the UME dolphins. Ongoing studies assessing changes in these lung and adrenal gland lesions over time will help to address questions regarding how long these chronic conditions may last. The study team included representatives from NOAA's National Marine Fisheries Service, NOAA's National Ocean Service, the National Marine Mammal Foundation, the University of Illinois, the University of Georgia, the Dauphin Island Sea Lab and University of South Alabama, the Institute for Marine Mammal Studies, Gulfport, Mississippi; the Louisiana Department of Wildlife and Fisheries, the Audubon Aquarium of the Americas, New Orleans; the Mote Marine Laboratory, Sarasota, Florida; the Texas Marine Mammal Stranding Network, Galveston; and the Marine Mammal Pathology Services, Olney, Maryland. This work was completed as a part of the Northern Gulf of Mexico unusual mortality event investigation and a part of the Deepwater Horizon Natural Resource Damage Assessment being conducted cooperatively among NOAA, other federal and state trustees, and BP. Today, the National Offshore Petroleum Safety and Environmental Management Authority (NOPSEMA) released its 2014 Annual offshore performance report, providing the offshore petroleum industry, workforce, and wider community with key industry performance data. NOPSEMA is the Australian Government’s independent regulator of offshore petroleum safety, well integrity and environmental management in Commonwealth waters, and in state and territory waters where powers and functions have been conferred. NOPSEMA’s CEO, Mr Stuart Smith said that “understanding industry performance is an essential element in identifying areas for potential improvement”. NOPSEMA shares industry performance data via the report because improving safety and environmental outcomes is a shared responsibility. “Industry’s performance in 2014 is encouraging with the report showing a reduction in the number of reportable incidents, dangerous occurrences and accidents. These results are especially pleasing given the upward trend in total hours worked offshore,” said Mr Smith. Mr Smith pointed out, however, that there are areas for improvement. For the second consecutive year, the report places a ‘spotlight’ on uncontrolled hydrocarbon releases to highlight a 25% increase in the number of releases reported to the authority in 2014 (from 20 in 2013 to 25 in 2014). Mr Smith said that whilst these were predominately in the lower release category, they are still of serious concern due to the risk of ignition and potential safety and environment consequences. The report also shows a consistent pattern in basic root causes of reportable OHS incidents. Identified through incident reports submitted to NOPSEMA, the top three basic root causes of OHS incidents in both 2013 and 2014 were design, preventive maintenance, and procedures. Mr Smith said that the continued prevalence of deficient preventive maintenance in OHS incidents warrants greater industry attention in light of lower oil prices. “Anecdotal evidence from other jurisdictions internationally suggests industry maintenance performance often drops around four to six months after a large fall in the oil price”. However, he said the evidence to date “does not suggest the emergence of a correlation in Australia with the current downturn in prices”. Mr Smith reminded industry that “nevertheless, NOPSEMA will continue to monitor this issue and duty holders should keep in mind that any changes in processes made as a result of reduced budgets should not compromise safety and environmental outcomes in any way”. NOPSEMA actively inspects industry compliance and in 2014 conducted the highest number of inspections since its establishment in 2005 (146 inspections, covering 202 facilities, titles, wells and petroleum activities). Mr Smith said he expects this increase to continue as NOPSEMA maintains its safety and integrity oversight throughout 2015 and increases environmental management inspections. The report also shows NOPSEMA reduced average environmental assessment timeframes by 40% from 2013 to 2014 (from 115 days to 68 days). This reduction can be attributed to higher quality submissions from titleholders as well as regulatory amendments allowing NOPSEMA to request further information during an assessment. Of the reduction Mr Smith said “it is pleasing considering it was achieved in the same year NOPSEMA became the sole environmental regulator for petroleum activities in Commonwealth waters, taking over offshore petroleum assessments previously handled by the Department of Environment”. NOPSEMA is an independent Commonwealth Statutory Agency regulating the health and safety, well integrity and environmental management of offshore petroleum industry activities in Commonwealth waters, and in coastal waters where state and territory functions have been conferred. NOPSEMA commenced operations on 1 January 2012 following the Final Government Response to the Report of the Montara Commission of Inquiry and a decision to extend the remit of the National Offshore Petroleum Safety Authority (NOPSA) to include regulatory functions and responsibilities for environmental management. By law, offshore petroleum activities cannot commence before NOPSEMA has assessed and accepted detailed risk management plans documenting and demonstrating how an organisation will manage the risks to health and safety to as low as reasonably practicable (ALARP) and the risk to the environment to ALARP and with acceptable environmental impacts. The combination of safety, well integrity and environmental management responsibilities under a single regulator aims to reduce regulatory burden on industry and standardise Australia’s offshore petroleum regulation to a quality, best practice model. For more information see nopsema.gov.au. Pittwater YHA hostel is nestled on the hillside of Morning Bay in Ku-ring-gai National Park. This hostel is an easy escape from the busy city life of Sydney and ideal for groups. May 19, 2015 - Noise from pile driving during offshore wind turbine construction could be damaging the hearing of harbour seals around the UK, researchers have found. They say more research is needed on how noise affects marine mammals' hearing and into engineering solutions to reduce noise levels. The study is published today in the British Ecological Society's Journal of Applied Ecology. There are currently 1,184 offshore wind turbines around the coast of the UK, between them generating around 4GW of power. The next round of construction, which began in 2014, will see hundreds more turbines installed to generate a further 31GW, yet we know little about the impact of construction noise on sea mammals' hearing. The team of ecologists from the University of St Andrews attached GPS data loggers to 24 harbour seals while offshore wind turbines were being installed in the Wash in 2012. The data loggers collected information on the seals' locations and their diving behaviour, relaying the information onshore via the mobile phone network. They then combined this data with information from the wind farm developers on when pile driving was taking place to produce models which predicted the noise each seal was exposed to, and compared this with noise levels that other studies show cause auditory damage. The model revealed that half of the tagged seals were exposed to noise levels that exceeded hearing damage thresholds. Offshore wind turbines are installed using pile drivers - essentially large hammers that drive the foundation posts into the sea bed - which produce short pulsed sounds every few seconds. According to lead author of the study Dr Gordon Hastie of the university's Sea Mammal Research Unit: "These are some of the most powerful man-made sounds produced underwater, noise capable of travelling large distances underwater." Although we have some information on the effects of noise on harbour seals' hearing, very little is known about the impact of the pulsed sounds produced by pile driving. However, a wealth of data exists on the effect of noise on humans and other terrestrial species, data which shows that powerful pulsed sounds can damage mammals' hearing. "Like most marine mammals, harbour seals have very sensitive underwater hearing at a much broader range of frequencies than humans," he says. "Seals probably use underwater hearing during the mating season and to detect and avoid predators. They may also rely on their hearing for navigation and finding prey." The team's results are important because seals are protected under European law and any impacts that might affect their conservation status need to be assessed prior to the construction of wind farms. "Our predictions highlight that seals may routinely be exposed to potentially hazardous levels of underwater noise during pile driving, with potential implications for the conservation status of some populations. To reduce these potential impacts, regulators and industry are currently investigating engineering solutions to reduce sound levels at source, and methods to deter animals from damage risk zones in order to potentially reduce auditory damage risk," Hastie adds. The team now hopes to validate their predictions by making hearing measurements on seals using special 'seal headphones', monitoring individual seals' movements at sea, and collecting long-term data on their growth, reproduction and survival. Harbour seals live around the coasts of the North Atlantic and North Pacific from the subtropics to the Arctic. Around 30% of European harbour seals are found in the UK. An epidemic of phocine distemper virus cut numbers along the east coast of England by half in 1988, and although a second outbreak in the Wash in 2002 resulted in a decline of 22%, the population has increased dramatically since 2009. Harbour seals weigh in at around 80-100kg and are long lived, living up to 30 years. They dive from the surface to depth to catch a variety of prey, from sandeels and herring to octopus and squid. They haul out in sheltered waters, usually on intertidal sand banks and estuaries, pups are born in June and July and the seals moult in August. Seal of Approval from SuperJohnnyAdventurepants on Vimeo. Calling all people dedicated to our environmental future - Our Blue Star Sustainability Awards are now open! These annual awards aim to reward both individuals and group projects in NSW which are committed to promoting responsible environmental practices in their local areas. There are 10 different award categories, each with a regional and metropolitan winner. To enter, all you have to do is submit a short form online - it couldn't be easier! The preservation of many of the world's most endangered languages - including more than 100 from Australia - will be the focus of a free public forum at the University of Sydney next Monday. Competing Voices: The Status of Indigenous Languages in the French Pacific and Australia will bring together the Pacific's leading experts on pluralingualism to discuss how governments, communities and educators in the region - home to a third of the world's living languages - can preserve these vital cultural assets. They will be joined by prominent entertainer Ernie Dingo, a Yamitji man and staunch advocate of Australian languages. With some predictions estimating as many as half of the world's languages may no longer exist by the end of this century, this forum is a wake up call to linguists, educators and policy makers. Presented with the Embassy of France in Australia, Competing Voices will pay particular attention to French Polynesia and Australia. Vanuatu - with a population of 250,000 and more than 100 active languages - has the greatest language density per capita in the world. "In Vanuatu two languages, French and Bislama (a creole largely influenced by English), predominate but each village or island has its own language which is still spoken but increasingly hard to preserve," says the University's Director of Aboriginal and Torres Strait Islander Research Professor Jakelin Tory who will be a panellist at Competing Voices. "At home, 13 of Australia's 250 indigenous languages are spoken across all generations but more than 100 are at risk of dying, particularly in the north of Western Australia and in central Australia." "If local languages aren't encouraged for use in everyday communication, especially at school, it discourages their ongoing use. If you don't support local languages you are engaging in further dissimilation and erosion of identification, often leading to serious social issues." Professor Troy says Competing Voices - which follows a day-long academic symposium on pluralingualism - will look at how policies and people can maintain language diversity and minimise the relegation of minority languages to the archives. Where: Law School Foyer, Easter Avenue, University of Sydney. Cost: Free, but online registration is essential. Climate Futures from is a decision support tool that uses the predictive power of climate models to assist in managing future climate risks. The web based tool combines projections for more than one variable (such as temperature and rainfall) and are given simple terms such as ‘warmer’ and ‘drier’. This video has been produced by CSIRO with funding from Inspiring Australia. OFF Line — Provider of Japan's Biggest Social Networking Photo Site, Photozou — Officially Launches "Photozou English Version (for PCs and Smartphones)"
SHINAGAWA, Tokyo, May 20, 2015 (GLOBE NEWSWIRE) -- OFF Line Co., Ltd. (Shinagawa, Tokyo, Japan; President and CEO Koichi Ishizuka) — which operates Photozou, the biggest social networking photo site in Japan (7 million registered users, 3.3 million monthly active PC users, 2.3 million monthly active smart phone users) — has developed an English version of the site for release. Photozou English version (for PCs and smartphones) will now officially launch along with additional support provided for users. The company plans to further develop the photo sharing service and increase the number of users from English speaking regions by targeting hobbyist photographers and individuals who regularly use smart phones to take photographs. A translation function has also been added, allowing comments about photos and messages written in Japanese to be translated into English. Saving photo data at Photozou is free, with unlimited file sizes (with photo size limits and a maximum monthly data transfer limit of 1-3 GB). The "Photozou Plus" service offers unlimited photo sizes, a monthly data transfer amount of 5 GB, and an ad-free user experience for a monthly fee of 500 yen. The company hopes to captivate individuals who love photography from all over the world and gain long-term users by partnering with Japanese camera makers and running various promotions that make use of social networking sites. Business: Development of short-range communications applications (AirTalk) that use Wi-Fi and Bluetooth Low Energy (BLE), photo SNS service management, operations of SNS photo, Internet advertising. The Commonwealth and NSW Governments today signed an agreement to begin the early rollout of the National Disability Insurance Scheme (NDIS) in the Nepean Blue Mountains area of Western Sydney. Federal Assistant Minister for Social Services Mitch Fifield and NSW Minister for Disability Services John Ajaka today signed the agreement at an NDIS service provider forum in Penrith attended by more than 150 representatives from more than 50 local organisations that work with children and young people with disability in the area. Minister Fifield said the agreement underscored the Commonwealth and NSW Governments’ ongoing commitment to deliver the NDIS in full. “This agreement will deliver the NDIS to about 2,000 children with disability and their families in Western Sydney and the Blue Mountains,” Minister Fifield said. “This agreement is great news for families across Western Sydney, who will get the support they need to help meet the needs of their kids and support them to achieve their goals and aspirations,” Minister Fifield said. Minister Ajaka said that the signing of the Memorandum of Understanding is the next step in delivering a major NSW Government election commitment to bring the NDIS to the Nepean Blue Mountains a year ahead of schedule. “This early rollout will allow much needed early intervention, and other services, to start flowing to people with disability, their families and carers from September,” Minster Ajaka said. Under this agreement, young people with disability in the Penrith and Blue Mountains area and their families, will be able to work with Local Area Coordinators from July 2015 to get ready for the NDIS, and will start to work with planners to create their individualised funding package from September. Ministers Fifield and Ajaka said the Commonwealth and NSW Governments were working closely to finalise the details of the broader rollout of the NDIS across the rest of the State from 2016. Australia will be hosting the Regional Countering Violent Extremism (CVE) Summit: Challenging Terrorist Propaganda in Sydney from 11 to 12 June 2015. The regional summit follows from the White House CVE Summit in February 2015, which I attended on behalf of the Australian Government. The Prime Minister will open the Summit, which will also be addressed by the Foreign Minister, the Hon Julie Bishop MP. The Summit will be co-chaired by the Minister for Justice, the Hon Michael Keenan MP and me. Government, civil society and industry participants from over 30 nations around the region will discuss ways to improve regional coordination and increase capacity to challenge terrorist propaganda and recruitment. The Summit provides an important platform for participants to collaborate to highlight the lies of extremist groups, develop counter narratives and turn vulnerable individuals away from violent extremism. A key focus of the Summit will be to identify and develop practical resources and strategies to address the shared threat posed by terrorist propaganda and exploitation of the Internet. ISIL alone is disseminating upwards of 100,000 pieces of propaganda per day on just one social media platform, grooming and taking advantage of vulnerable individuals. The Regional CVE Summit will build on the important work underway globally to implement United Nations Security Council Resolution 2178 and a report on progress in the region will be provided to the UN General Assembly Leaders’ meeting in September 2015. May 20, 2015 - Recently, scientists from Swinburne University of Technology in Australia and the Commonwealth Scientific and Industrial Research Organization (CSIRO) have jointly demonstrated cream separation from natural whole milk at liter-scales for the first time using ultrasonic standing waves -- a novel, fast and nondestructive separation technique typically used only in small-scale settings. At the 169th Meeting of the Acoustical Society of America (ASA), being held May 18-22, 2015 in Pittsburgh, Pennsylvania, the researchers will report the key design and effective operating parameters for milk fat separation in batch and continuous systems. The project, co-funded by the Geoffrey-Gardiner Dairy Foundation and the Australian Research Council, has established a proven ultrasound technique to separate fat globules from milk with high volume throughputs up to 30 liters per hour, opening doors for processing dairy and biomedical particulates on an industrial scale. "We have successfully established operating conditions and design limitations for the separation of fat from natural whole milk in an ultrasonic liter-scale system," said Thomas Leong, an ultrasound engineer and a postdoctoral researcher from the Faculty of Science, Engineering and Technology at the Swinburne University of Technology. "By tuning system parameters according to acoustic fundamentals, the technique can be used to specifically select milk fat globules of different sizes in the collected fractions, achieving fractionation outcomes desired for a particular dairy product." According to Leong, when a sound wave is reflected upon itself, the reflected wave can superimpose over the original waves to form an acoustic standing wave. Such waves are characterised by regions of minimum local pressure, where destructive interference occurs at pressure nodes, and regions of high local pressure, where constructive superimposition occurs at pressure antinodes. When an acoustic standing wave field is sustained in a liquid containing particles, the wave will interact with particles and produce what is known as the primary acoustic radiation force. This force acts on the particles, causing them to move towards either the node or antinode of the standing wave, depending on their density. Positioned thus, the individual particles will then rapidly aggregate into larger entities at the nodes or antinodes. To date, ultrasonic separation has been mostly applied to small-scale settings, such as microfluidic devices for biomedical applications. Few demonstrations are on volume-scale relevant to industrial application, due to the attenuation of acoustic radiation forces over large distances. To remedy this, Leong and his colleagues have designed a system consisting of two fully-submersible plate transducers placed on either end of a length-tunable, rectangular reaction vessel that can hold up to two liters of milk. For single-plate operation, one of the plates produces one or two-megahertz ultrasound waves, while the other plate acts as a reflector. For dual-plate operation, both plates were switched on simultaneously, providing greater power to the system and increasing the acoustic radiation forces sustained. To establish the optimal operation conditions, the researchers tested various design parameters such as power input level, process time, transducer-reflector distance and single or dual transducer set-ups etc. They found that ultrasound separation makes the top streams of the milk contain a greater concentration of large fat globules (cream), and the bottom streams more small fat globules (skimmed milk), compared to conventional methods. "These streams can be further fractionated to obtain smaller and larger sized fat globules, which can be used to produce novel dairy products with enhanced properties," Leong said, as dairy studies suggested that cheeses made from milk with higher portion of small fat globules have superior taste and texture, while milk or cream with more large fat globules can lead to tastier butter. Leong said the ultrasonic separation process only takes about 10 to 20 minutes on a liter scale -- much faster than traditional methods of natural fat sedimentation and buoyancy processing, commonly used today for the manufacture of Parmesan cheeses in Northern Italy, which can take more than six hours. The researchers' next step is to work with small cheese makers to demonstrate the efficacy of the technique in cheese production. The above story is based on materials provided by Acoustical Society of America (ASA). Researchers head to the seas off the east coast of Australia today on Australia's new Marine National Facility research vessel, Investigator, to put in place ongoing measurements to track the vast volumes of water that influence our weather and climate. 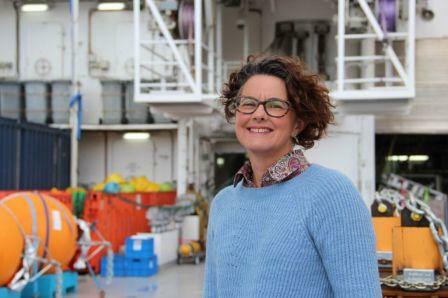 "The East Australian Current sets the whole structure of the Tasman Sea," CSIRO scientist and voyage leader Dr Bernadette Sloyan said. "It influences our climate, the ecosystem, commercial and recreational fishing, much of what we see on the coast. "If the current wasn't there, we'd have a very different Tasman Sea." Dr Sloyan said the current was also a key component of global ocean circulation, moving heat, freshwater and nutrients around the South Pacific. It moves massive amounts of water - each second transporting more than 25 million cubic metres of water, or 10,000 Olympic swimming pools, southwards. "The voyage will deploy six large moorings, from the continental slope to the deep ocean off Brisbane," Dr Sloyan said. "This is where the East Australian Current approaches its maximum strength and its flow is relatively uniform so we can measure the current's average flow and how it varies over time." The collaboration between CSIRO, the Marine National Facility and the Integrated Marine Observing System (IMOS) will enable the maintenance of multi-year monitoring of the current. "The East Australian Current shows variations over a range of timescales from seasonal to decadal," IMOS Director Tim Moltmann said. "Much of what we know about the current has come from irregularly distributed observations collected over many decades. "What is lacking is a sustained time-series of observations of the East Australian Current across its entire extent and of sufficient duration to understand seasonal, interannnual and decadal signals. "The IMOS observations will provide significant new insights into the variable nature of the East Australian Current." Dr Sloyan said the current had important implications for Australia's weather and climate. "It is the dominant mechanism for the redistribution of tropical Pacific Ocean heat between the ocean and atmosphere in the Australian region," she said. "The waters in the Tasman Sea have warmed by more than 2C faster than other parts of the world's oceans. "Western boundary current regions, such as the EAC system, are highly variable and linked to large-scale ocean changes. "Monitoring the EAC therefore, provides information of the large-scale drivers of regional ocean change. "These changes may result in subtropical marine species moving into temperate waters, altering the habitat of many species." Investigator is a 94 metre purpose-built research vessel, capable of travelling 10,000 nm in a single voyage, carrying up to 40 scientists and support staff, from the equator to the Antarctic ice-edge. The Marine National Facility is a blue-water research capability funded by the Australian Government. Under direction of an independent Steering Committee, it is owned and operated by CSIRO on behalf of the nation. A team of Sydney researchers has drawn inspiration from a 19th century map, commissioned by Napoleon to chart his defeat in Russia, to show how insulin works in the human body. Published in Cell, the simple yet sophisticated diagram charts in unprecedented detail the insulin/IGF1 signalling pathway (ISP), a complex network of molecular interactions triggered by insulin which plays an essential role in long-term health, obesity and diseases such as diabetes. "The science is about how insulin works. When we eat glucose it comes into the bloodstream and triggers insulin secretion. Insulin then travels via the blood and binds to receptor molecules, principally on muscle, fat or liver tissue," said Professor David James, Leonard P Ullmann Chair of Metabolic Systems Biology at the University of Sydney's Charles Perkins Centre. "The great complexity begins when the insulin binds to that tissue, which initiates a very convoluted series of many thousands of molecular events. "These events don't just happen all at once - they can come on very quickly or very slowly, some go up and some go down, some happen in the nucleus, some happen in other parts of the cell. "For the first time, our team has been able to display all of the main events in a simple image, making it easier for researchers to understand it. "It's really a visual gateway to a whole spectrum of biology. It's a work of art," Professor James said. The map draws on landmark research by Professor James and was created by data visualisation specialist Dr Séan O'Donoghue, Office of the Chief Executive Science Leader at CSIRO and Senior Faculty Member at the Garvan Institute of Medical Research. The interdisciplinary team also included molecular biologists, bioinformaticians, data visualisation experts and a graphic designer. Dubbed 'Minardo', the diagram was inspired by a map designed by French civil engineer Charles Minard and commissioned by Napoleon Bonaparte to chart his disastrous Russian campaign of 1812. It is hoped Minardo will help explain ISP to students and scientists in other areas, improving understanding of the vitally important but poorly understood process. "We also think Minardo will be very useful for other scientists working in other areas such as cancer, who may be able to use the same concept for their branch of science," Professor James said. Minard's map is famous for charting six types of data in one image - the number of Napoleon's troops, distance, temperature, latitude and longitude, direction of travel, and location relative to specific dates. Dr O'Donoghue's design condenses multiple dimensions of information, including time, cellular topology, and a range of specific biochemical processes such as fatty acid secretion, inhibition of lipolysis and the initiation of glycolysis and protein synthesis. Aninteractive online version allows users to see moving parts and find additional information by hovering over the displayed events. According to Professor James, the project is exemplary of the Charles Perkins Centre's mission to bring researchers together from disparate disciplines to solve complex problems. "As a result of this simplification, we may be able to shed new light on a complex network that's incredibly significant to our physiology. "It's within these complex systems that we find some of the most important remaining challenges for human health," Professor James said. NEW YORK, May 18, 2015 (GLOBE NEWSWIRE) -- Taboola, the leading discovery platform, today announced a multi-million dollar strategic investment partnership with Baidu Inc. (Nasdaq:BIDU), the leading Chinese language Internet search provider. The partnership brings together two cutting-edge technology companies that are re-defining the “search” and “discovery” categories across the world’s biggest markets. Together, Taboola and Baidu plan to bring discovery to the Chinese market, where mobile is the number one way people go online. The investment from Baidu is a follow-on to the $117 million Series E round of financing announced by Taboola this past February, and represents another significant vote of confidence in Taboola and the future of content discovery. Baidu ranks as the top website in China, and fourth most popular in the world (according to global traffic ranking firm Alexa), receiving tens of billions of search queries every day, about 75 percent of China’s combined PC and mobile search market share. Taboola has experienced massive growth since its inception in 2007, rising from less than $10 million annual revenue in 2012 to over $200 million in 2014. The Series E round in February was led by Fidelity Management and Research Company, and included existing investors Marker LLC and Steadfast Capital, as well as new strategic investors Advance Publications (parent of Condé Nast and Advance Digital), Comcast Ventures, Mr. Carlo De Benedetti (chairman of the Gruppo Editoriale L'Espresso), Groupe Arnault (the controlling shareholder of LVMH), Yahoo! JAPAN, and others. Taboola serves more than 200 billion monthly content recommendations to over 550 million users across some of the Web’s most innovative publisher sites in the US, UK, France, Germany, Italy, Thailand, India, Japan and Israel. Media and technology partners around the world have leveraged Taboola’s technology to launch local initiatives. Italy-based Gruppo Editoriale L’Espresso worked with Taboola on rolling out a new sponsored content business. Last year Taboola announced a strategic partnership with Yahoo! JAPAN to launch “Yahoo! Content Discovery,” introducing content recommendations onto hundreds of premium partner sites across the Yahoo! Japan News network. Taboola’s predictive technology analyzes hundreds of real-time signals (including collaborative filtering, geography, social media trends, and more) to deliver highly-personalized content recommendations. Its platform includes sophisticated targeting capabilities for marketers, and first-of-its-kind content optimization tools for publishers that are provided free of charge. Taboola is the leading discovery platform, serving over 200 billion recommendations to over 550 million unique visitors every month on some of the Web’s most innovative publisher sites, including USA TODAY, Business Insider, Chicago Tribune, and The Weather Channel. Headquartered in New York City, Taboola also has offices in Pasadena, London, Tel Aviv, New Delhi, and Bangkok. Publishers, marketers, and agencies leverage Taboola to retain users on their sites, monetize their traffic, and distribute their content to drive high-quality audiences. Learn more at www.taboola.com and follow @taboola on Twitter. Baidu, Inc. is the leading Chinese language Internet search provider. As a technology-based media company, Baidu aims to provide the best and most equitable way for people to find what they're looking for. In addition to serving individual Internet search users, Baidu provides an effective platform for businesses to reach potential customers. Baidu's ADSs trade on the NASDAQ Global Select Market under the symbol "BIDU". Currently, ten ADSs represent one Class A ordinary share. In an Australian-first patients will be given access to potentially life-saving clinical trials at their fingertips with the launch of an online one-stop shop today. Minister for Health Sussan Ley and Minister for Industry and Science Ian Macfarlane said it will be easier for patients across Australia to take part in innovative medical research as the Abbott Government launched an Australian-first website today – International Clinical Trials Day. Ms Ley said the website would help boost patient participation following data that indicated just under half of all Phase Three clinical trials conducted in Australia did not meet their patient recruitment targets. “Clinical trials are an essential part of ensuring that the life-saving treatments and drugs we use are safe and effective,” Ms Ley said. Ms Ley said participating in clinical trials offers patients access to new trial therapies, offering them hope at a time when other avenues may have already been exhausted. Not being able to recruit enough participants is considered one of the main reasons for a seven per cent decline in the number of trials conducted in Australia from 2012 to 2013. “This reform will provide Australians right across the country, including regional and rural patients, greater access to clinical trials and will help to improve health outcomes,” Ms Ley said. Minister Macfarlane said in addition to offering easy access to information about the trial, who can enrol, and what is required of patients, the tool also puts patients in contact with the head researcher with just one click. “For trials to be scientifically rigorous, they need the involvement of many patients and this online tool will make it is easier for patients to be aware of the trials available across Australia, and how they work,” Minister Macfarlane said. This initiative is a result of a strong and collaborative effort between the National Health and Medical Research Council, the Department of Health and Sport, and the Department for Industry and Science. For more information visit the Australian Clinical Trials website. The Abbott Government’s ongoing commitment to addressing the scourge of domestic violence in Australia has been reinforced today with an extra $4 million investment in the 1800RESPECT hotline to ensure it provides support to women in need. Minister for Social Services, the Hon. Scott Morrison and Minister Assisting the Prime Minister for Women, Senator the Hon. Michaelia Cash said the Abbott Government was committed to providing the funding necessary to ensure the efficient delivery of 1800RESPECT - Australia’s first national professional telephone and online counselling service. “The service was facing increased demand and the Government is responding to ensure we are able to assist those women who need it," Minister Morrison said. 1800RESPECT is a confidential and interactive online and professional telephone counselling, information and referral service available 24 hours a day, 7 days a week. The service assists those who have experienced or are at risk of sexual assault or family and domestic violence. In 2013-14 over 43,600 contacts were made to 1800RESPECT compared with about 20,000 in 2010-11. In 2014-15, about 35,000 contacts have been recorded to March 2015. Minister Cash said that over the past 18 months, assisted by courageous ambassadors such as Rosie Batty - as well as increased coverage in the media - a national conversation about domestic and family violence has grown with increasing momentum. “With more victims speaking out about this scourge and seeking help to escape such violence, we are responding accordingly with appropriate resourcing,” Minister Cash said. “For too many years the issue of domestic violence remained behind closed doors – a stigmatised problem that victims were afraid or reluctant to speak about. 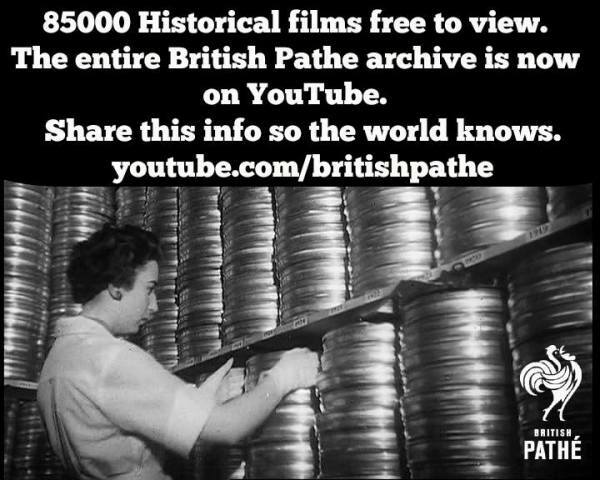 Sadly as a nation we were reluctant to speak about it. On Thursday the Government announced the full membership of the COAG Advisory Panel to Reduce Violence Against Women. This panel will play an integral role in providing expert advice to COAG on how Governments can address domestic violence in Australia. “As the Treasurer stated, we have set aside additional money in the budget and we will have more to say in the near future,” Minister Cash said. o $100 million over four years to support the Second Action Plan under the National Plan to Reduce Violence Against Women and Children as well as the recently announced $30 million national awareness campaign. o An over $500 million investment in 2015-16 to frontline services, which provide support to vulnerable Australians including women experiencing violence. This includes $230 million to extend the National Partnership Agreement on Homelessness for two years to 2017, with funding priority given to frontline services focusing on women and children experiencing domestic and family violence, and homeless youth under 18.
o Indigenous legal service providers, aimed to support victims of domestic violence. o $6 million towards the Northern Territory’s $18 million Domestic and Family Violence Reduction Strategy. o An increase in funding to the White Ribbon campaign by $1 million over four years. Further information can be found at the Department of Social Security website. When animals are present, children with autism spectrum disorders (ASDs) have lower readings on a device that detects anxiety and other forms of social arousal when interacting with their peers. According to a study funded in part by the National Institutes of Health, companion animals - like dogs, cats or the guinea pigs in the study - may prove to be a helpful addition to treatment programs designed to help children with ASDs improve their social skills and interactions with other people. The study, published online in Developmental Psychobiology, was conducted by Marguerite O'Haire, Ph.D., from the Center for the Human-Animal Bond in the College of Veterinary Medicine of Purdue University in West Lafayette, Indiana, and colleagues in the School of Psychology at the University of Queensland in Brisbane, Australia. "Previous studies suggest that in the presence of companion animals, children with autism spectrum disorders function better socially," said James Griffin, Ph.D., of the Child Development and Behavior Branch at NIH's Eunice Kennedy Shriver National Institute of Child Health and Human Development (NICHD). "This study provides physiological evidence that the proximity of animals eases the stress that children with autism may experience in social situations." This study is among several funded under a public-private partnership established in 2008 between NICHD and the WALTHAM Centre for Pet Nutrition, a division of Mars Inc., to establish a human-animal interaction research program to support studies relevant to child development, health, and the therapeutic use of animals. "By providing support for these research studies, we hope to generate more definitive answers about how human-animal interaction affects health," he said. ASDs affect the structure and function of the brain and nervous system. People with these conditions have difficulty communicating and interacting with other people. They also have restricted and repetitive interests and behaviors. For the current study, Dr. O'Haire and her colleagues measured skin conductance, the ease at which an unnoticeable electric charge passes through a patch of skin, in children with ASDs and in typically developing children. Researchers divided the 114 children, ages 5 to 12 years old, into 38 groups of three. Each group included one child with ASD and two of their typically developing peers. Each child wore a wrist band fitted with a device that measures skin conductance. When people are feeling excited, fearful, or anxious, the electric charge travels faster through the skin, providing an objective way for researchers to gauge social anxiety and other forms of psychological arousal. For the first few minutes, the children read a book silently, giving researchers a baseline measure of skin conductance while carrying out a non-stressful, familiar task. Next, each child was asked to read aloud from the book in the presence of the two peers in their group, a task designed to measure their level of apprehension during social situations. The researchers then brought toys in the room and allowed the children 10 minutes of free play time. These situations may be stressful for children with ASDs, who may have difficulty relating socially to their typically developing peers. Finally, the researchers brought two guinea pigs into the room and allowed the children to have 10 minutes of supervised play with the animals. The researchers chose guinea pigs because of their small size and docile nature -- much easier to manage in a classroom than larger animals. The researchers found that, compared to the typically developing children, the children with autism had higher skin conductance levels when reading silently, reading aloud, and in the group toy session. These higher levels are consistent with reports from parents and teachers, and from other studies, that children with ASDs are more likely to be anxious in social situations than typically developing children. When the session with the guinea pigs began, however, skin conductance levels among the children with ASDs dropped significantly. The researchers speculate that because companion animals offer unqualified acceptance, their presence makes the children feel more secure. Whereas human counterparts inherently pass social judgment, animals are often perceived as sources of unconditional, positive support, the researchers wrote. For reasons the researchers can not explain, skin conductance levels in the typically developing children rose during the session with the guinea pigs. The researchers believe that these higher readings may indicate excitement at seeing the animals, rather than any nervousness or apprehension. Dr. O'Haire added that earlier studies have shown that children with ASDs were less likely to withdraw from social situations when companion animals are present. These studies, along with the current findings, indicate that animals might "play a part in interventions seeking to help children with autism develop their social skills," she said. She cautioned, however, that the findings do not mean that parents of children with ASDs should rush to buy an animal for their children. Further research is needed to determine how animals might be used in programs aimed at developing social skills. "Our study was conducted in a supervised setting, by researchers experienced in working with kids with autism spectrum disorders who understand the needs and requirements of the animals," Dr. O'Haire said. She added that careful supervision was provided during the study, to ensure the welfare of the children as well as the animals. Disclaimer: These articles are not intended to provide medical advice, diagnosis or treatment. Views expressed here do not necessarily reflect those of Pittwater Online News or its staff.